Merlin is author or co-author of many articles and thirty books on customer management. The UK’s Chartered Institute of Marketing listed him as one of the world’s top 50 marketing thinkers, he was nominated as one of the 20 most influential people in the direct marketing industry in a Precision Marketing readership poll, while NOP World nominated him as one of 100 most influential individuals for their input and influence on the development and growth of e-commerce and the internet in the UK over the previous 10 years. He is a Fellow of the Chartered Institute of Marketing and an Honorary Life Fellow of the UK’s Institute of Direct and Digital Marketing. Merlin is also on the editorial advisory boards of several academic marketing journals. He is an active researcher on many aspects of customer management. He has a first class honours degree and doctorate in economics from Sussex University, UK. In parallel to his business career, he has also pursued a full academic career, holding senior posts at various universities. 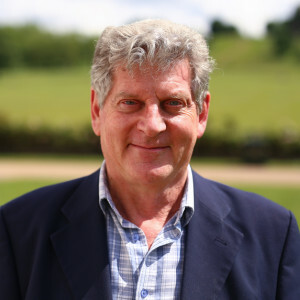 He is now a visiting professor at De Montfort, Oxford Brookes and Portsmouth Universities, teaches on the Google digital marketing course, teaches marketing strategy and planning at Westminster University, and teaches and develops teaching material in economics for the Open University.